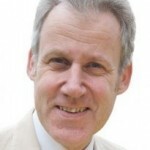 Dr Eamonn Butler is Director and co-founder of Britain’s leading free-market policy thinktank, the Adam Smith Institute, and a leading author and broadcaster on economics and social issues. Westminster insiders look forward each week to his wry online commentary on politics and politicians. Eamonn is the winner, with his colleague Dr Madsen Pirie, of the 2010 National Free Enterprise Award, for the greatest contribution to furthering the market economy. He is Vice-President of the Mont Pelerin Society, an international association of distinguished economists and entrepreneurs, founded in 1947 by the Nobel Prize winner F A Hayek. After leaving St Andrews University in the 1970s with degrees in Economics, Psychology and Ethics, he joined the brain drain out of bankrupt Britain, becoming a policy analyst at the US House of Representatives in Washington. “There, I saw how laws are made,” he says. He returned to edit an insurance magazine in the City and to co-found the Adam Smith Institute, which for ten years became the chief intellectual force behind privatisation, internal markets, contracting out and other foundations of the Thatcher Revolution. Eamonn is author of books on a wide range of subjects, from economics through psychology to politics. These include easy-read introductions to the economists Milton Friedman, F A Hayek and Adam Smith, and a short explanation of how markets work, called (modestly) The Best Book on the Market, which he wrote to be ‘so simple that even politicians can understand it’. He is also co-author of Forty Centuries of Wage and Price Controls (which traces economic incompetence back to Hammurabi of Babylon) and a series of IQ testers including The Sherlock Holmes IQ Book. 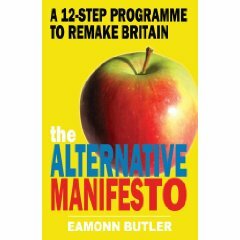 In 2009 he published the popular paperback The Rotten State of Britain, explaining what has gone wrong with the UK and subsequently what he calls a DIY manual for fixing it, The Alternative Manifesto. He is an experienced broadcaster, appearing regularly on current-affairs programmes including The Today Programme, Newsnight, The Week, Any Questions, The PM Programme, Question Time Extra, News at Ten and Sky News. His articles have appeared in national newspapers including The Times, The Daily Telegraph, The Guardian, The Independent, The Scotsman and (his personal favourite because “I’ve followed Oor Wullie since I was six and The Broons since I was seven”) The Sunday Post. His writing for specialist journals such as Financial World and Private Banking has courted controversy recently by maintaining that the financial crisis was caused entirely by “incompetent politicians and regulators” rather than by “greedy bankers”. His insights into the world of political economy and centre-right policy thinking make him much in demand as a speaker and commentator for corporate clients. 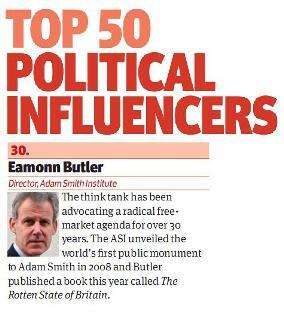 In February 2010, Total Politics magazine ranked Dr Butler at 30th on a list of key unelected figures whose work and views exert measurable political influence today.